TAG Farnborough Airport undertook an Airspace Change Proposal with a view to introducing a new airspace design near the airport. I continued to engage with local stakeholders, the CAA and TAG over the period of consultation, representing the concerns of local residents. 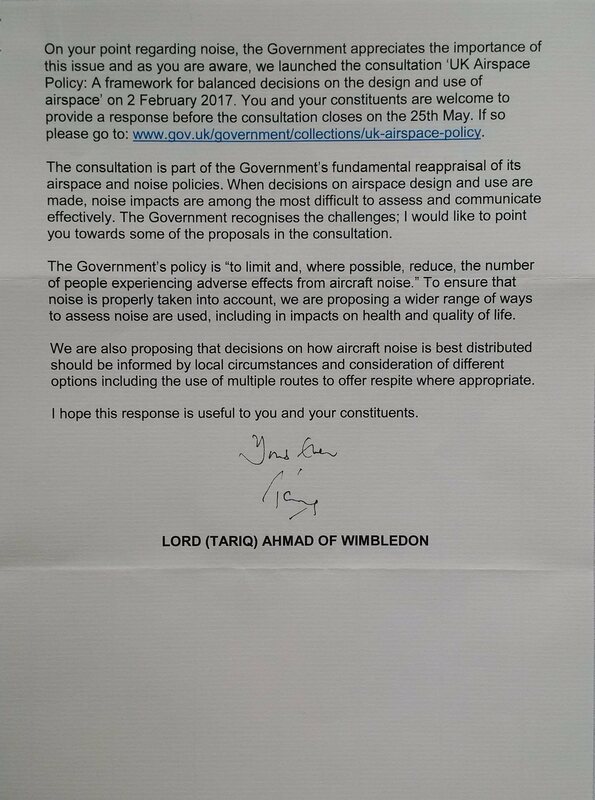 Part of the engagement with the CAA and TAG was to seek greater clarity on the proposed change in flightpaths and the potential impact this may have on communities in terms of being overflown, and at what height. The attached matrix has been put together by TAG and gives more information for the towns and villages most affected within East Hampshire. The chart includes details of the current arrival and departure flightpaths, and heights they're flown at, compared to the new flightpaths and heights proposed in the ACP. Also attached, is a recent reply from the Minister for Aviation to a letter I sent regarding the latest ACP submitted by TAG in December 2016. 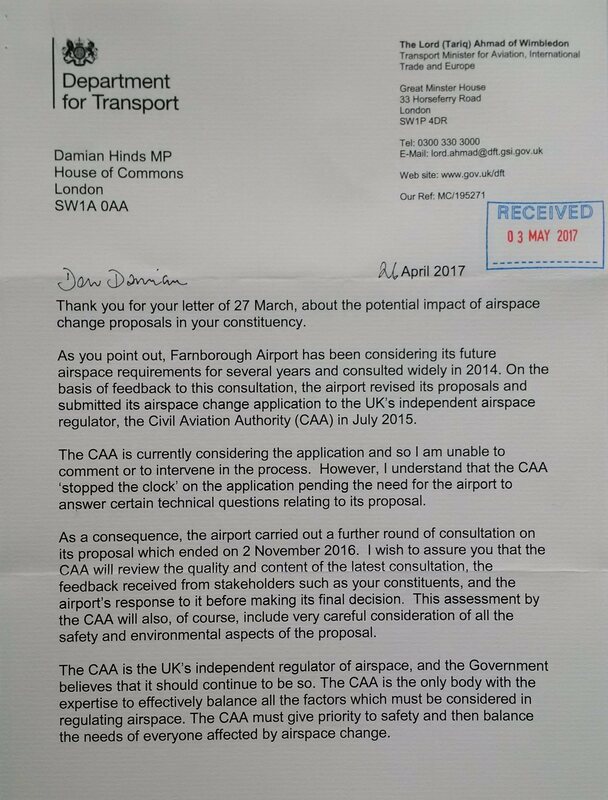 Damian has called on the Civil Aviation Authority (CAA) to require TAG – the operators of Farnborough Airport - to conduct a new and more transparent consultation before resubmitting their Airspace Change Proposal (ACP) to them for consideration.